PETE READING had a real shock at the end of his river season when he smashed the Hampshire Avon record with this 19 lb 11 oz stunner. Pete Reading displays his 19 lb 11 oz Hampshire Avon barbel record. 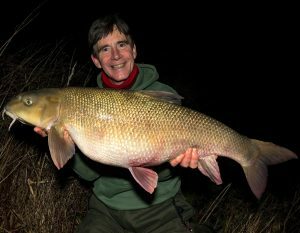 BAIT company boss John Llewellyn ended the river season in record style with this giant 20 lb 12 oz barbel – the heaviest ever from the Thames. 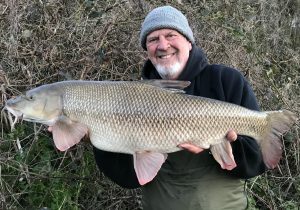 John Llewellyn came rocked the British barbel record with this 20 lb 12 oz heavyweight from the River Thames, caught soon before the 2018/19 river season ended. RYAN PEVY only restarted fishing again this season and was so pleased that he did when he slid the net under this massive 19 lb 15 oz barbel. 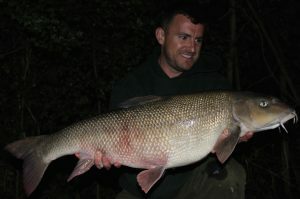 Ryan Pevy’s giant Thames barbel scaled 19 lb 15 oz. He was a winner in Angler’s Mail’s famous Fish of the Week, sponsored by Richworth. TONY MAYHEW enjoyed an epic session when he smashed his barbel PB four times while matting nine fish including six stunning winter ‘doubles’. 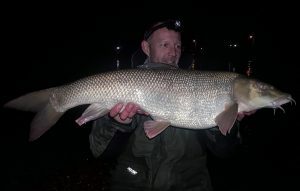 Tony Mayhew got stuck into big River Trent barbel during a long session at Newark. LIAM WILLIS is having a great season and topped a recent 48-hour trip with this 16 lb 5 oz specimen. A FISH stocking on one of Britain’s best barbel rivers could be key to improving angling action in the future. Fish stocking projects are benefiting from the work at Calverton. 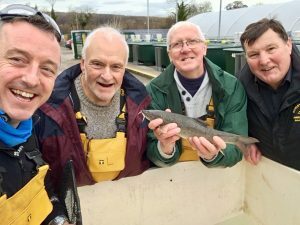 Here Rowley DAS officials visit the famous Nottinghamshire fish farm to check on the barbel that have boosted the River Severn. 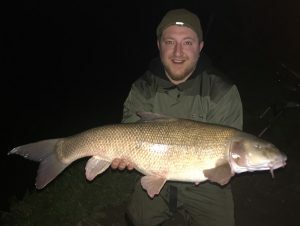 THREE pals showed why the River Trent is the No.1 place to go for big barbel when they all notched specimens on their first session for the species. Paul Barrett admires his 16 lb Trent barbel. BARBEL novice Dylan McLoughney got a dream fish most river anglers would dream of when he took this 18 lb giant. 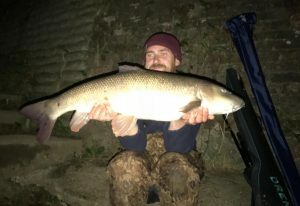 Thames barbel slams the scales to massive 20 lb 2 oz! 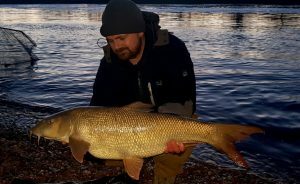 ONE of the biggest barbel ever caught has been tempted from the mighty River Thames with this 20 lb 2 oz giant to Simon Cook. Simon Cook admires his Thames 20 lb 2 oz barbel. 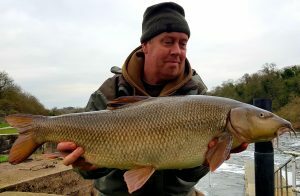 JAMES BAKER has targeted his local river with simple tactics this season and has been rewarded with a venue record 17 lb barbel. 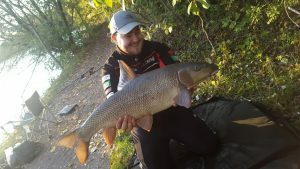 James Baker -Sussex Ouse record barbel.